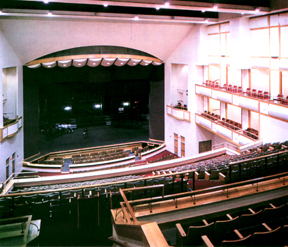 Robert Lorelli Associates, offers extensive services to design state-of-the-art, economical and trouble free rigging systems for performing arts facilities of all sizes. Each system is custom designed to insure functional efficiency and optmum performance. "I would not hesitate to recommend your firm to any organization desiring an outstanding Performing Arts facility." -- Paul Newman, Directior of Operations and Production at The Center of the Performing Arts.